Commander of the Iranian Army Ground Force Brigadier General Kiomars Heidari announced plans to equip missiles used in helicopters with fire-and-forget guidance system, Fars News Agency (FNA) reported. 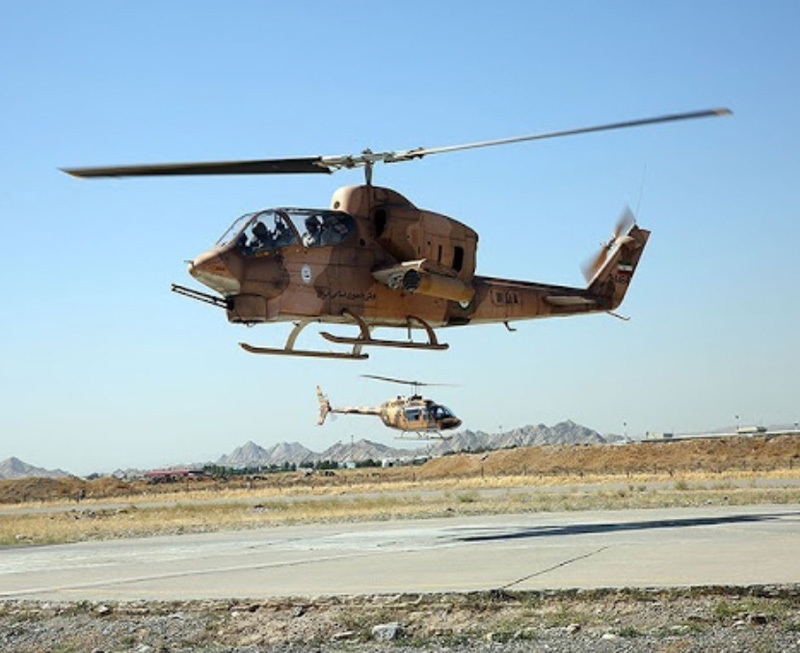 “Increasing the range of (helicopter) missiles and rockets and using fire-and-forget missiles are on the defense ministry's agenda,” General Heidari said on the sidelines of a ceremony to deliver 8 overhauled Cobra, Bell 206 and Bell 214 helicopters to the Army’s Airborne unit in the Central province of Isfahan last week. He said the range of the missiles that Iranian helicopters fire is beyond expectations, adding that “the Airborne forces' helicopters also enjoy the capability of night-time battle”. Iran has taken long strides in production of different defense equipment, including bombs, missiles and drones, despite the US sanctions. Recently, new glide bombs named ‘Jamarat’ were mounded on the Iranian Armed Forces' light planes and helicopters to attack ground targets. The glide bombs lack any booster and engine and hit the target with the help of their aerodynamic shape and gravity and without any need to propulsion power. Jamarat, with a radius of 125mm, weighs 15kg and is one meter long. It can be mounded on different types of flying objects, including helicopters, drones and giro planes. It is dropped over from an altitude of 500 meters and has a maximum range of 6km. Jamarat which enjoys a GPS/AHRS system and a video seeker and hits the target with less than 10 meters of margin of error has gone under successful tests by Islamic Revolution Guards Corps (IRGC) giro planes.